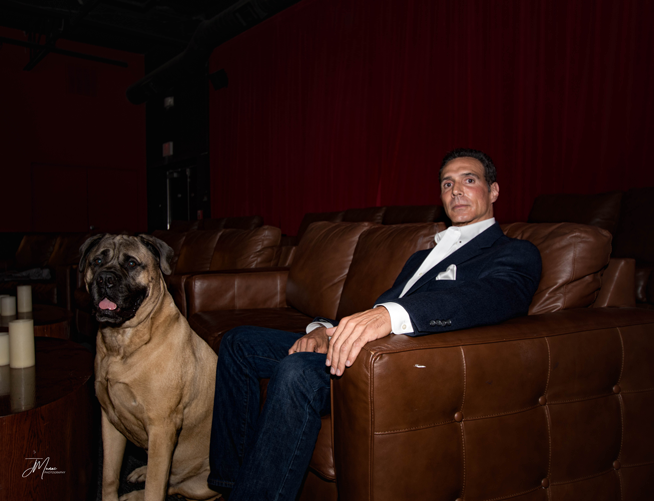 Former trainer to Dennis Rodman, Mark Cuban and Michael Dell, George DiGianni is no ordinary fitness professional. George founded 21 Day Body Makeover (www.21DayBodyMakeover.com) and Genetic Direction (www.GeneticDirection.com), a leading provider of genetics-based personal health management programs. Both companies currently operate to help customers with unique goals. With over 25 years of experience as a leader in the health and wellness industry, George DiGianni is passionate about helping others transform their lives and achieve profound positive change through personal and professional development. Author, talk show host, and behavior modification and wellness coach, George is a widely sought after speaker who empowers international audiences to redefine who they are and what they can accomplish. Arming people with the tools necessary to create a new norm for themselves, he runs motivational, interactive training seminars for audiences spanning from corporate executives and entrepreneurs to seniors at assisted living centers. George’s honest, direct manner is refreshing, inspiring and has motivated thousands of people to take action. Giving new meaning to a busy schedule, in addition to hosting the Train Station Fitness Show on The Ticket he has been on-air with NBC, TXCN, CH 8, Fox Sports Southwest, and WB33, and has made appearances on such shows as Good Day Dallas, CH 4 Morning Show, Texas Accents and Health Connection. Also a best-selling author, George wrote Three Minutes to a Strong Mind and a Fit Body, which was #11 on Amazon.com’s Best Seller List. Just published in 2015, George’s latest book, Potentially YOU, challenges readers to break through self-imposed limitations and realize new possibilities. He has also penned articles for Dr. Drew, Health and Fitness Magazine, and CBS Health Watch. George holds an advanced certification from the National Academy of Sports Medicine, advanced training in bio-mechanics, and an advanced personal training and nutrition certification from the Institute of Aerobic Research. Always striving to finesse his business acumen and leadership abilities, George also earned an Executive MBA through the Owner President Management program at Harvard Business School. To bring George to your next speaking engagement, event or seminar, email George at George@GeneticDirection.com. To learn more about Genetic Direction’s programs, including GxSlim – the weight loss program tailored to your DNA – visit www.GeneticDirection.com.